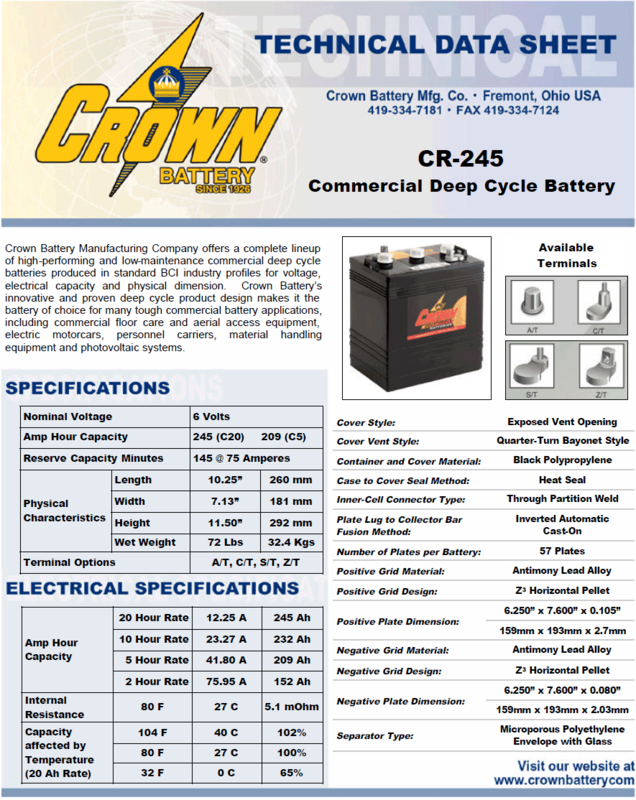 Crown deep cycle performance starts with plates that are built to deliver power when it’s needed. 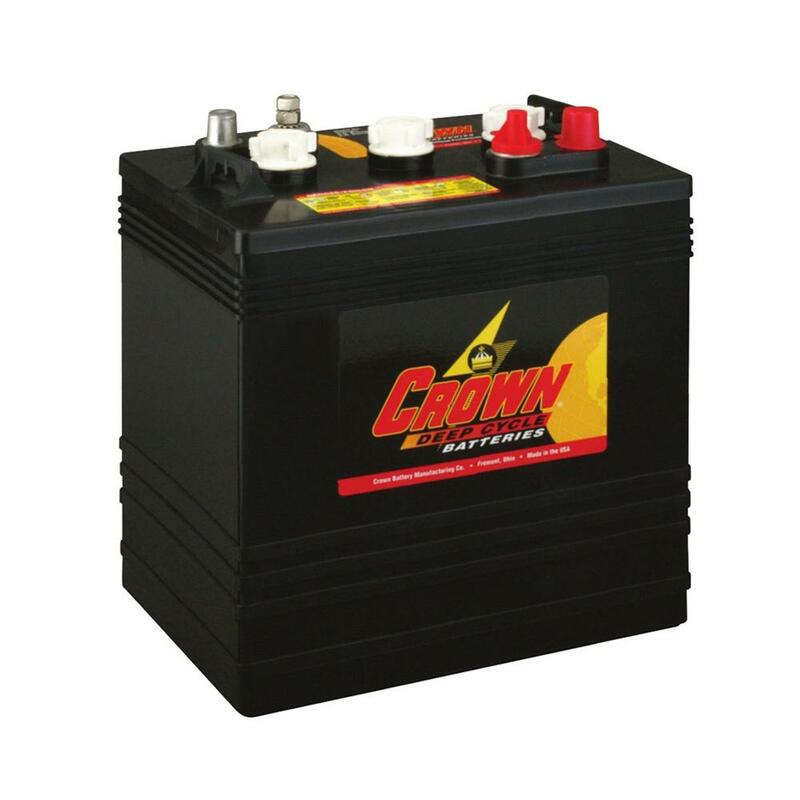 Crown deep cycle batteries utilize the heaviest and thickest plates available from the battery industry – and more than 10% thicker than those used by the competition. 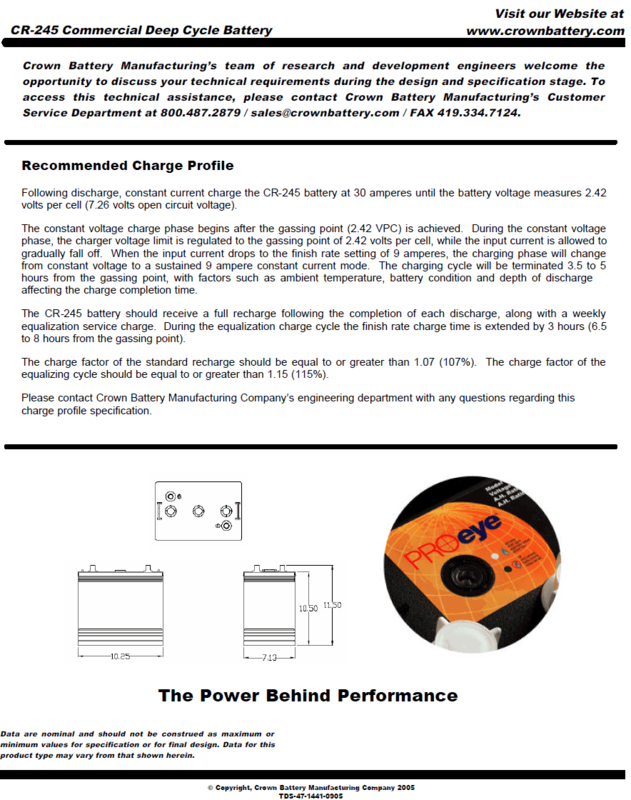 Increased plate thickness delivers longer battery discharge performance and cycle life. Requires periodic maintenance in topping up the water level with distilled water.